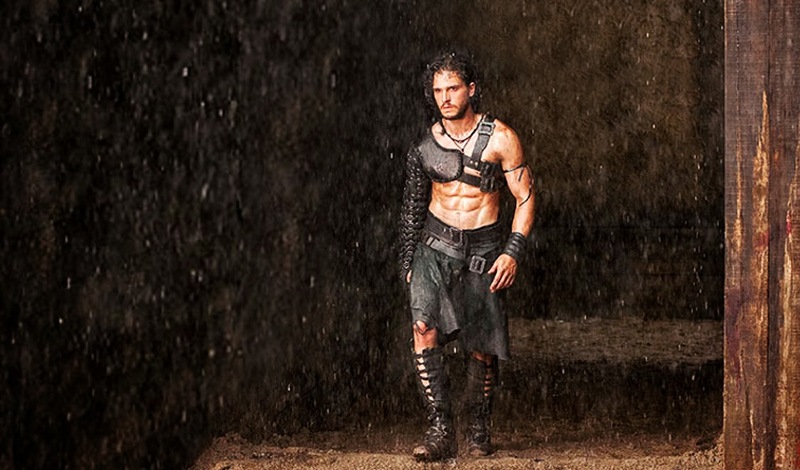 Kit Harington as Milo, a slave who became a gladiator. 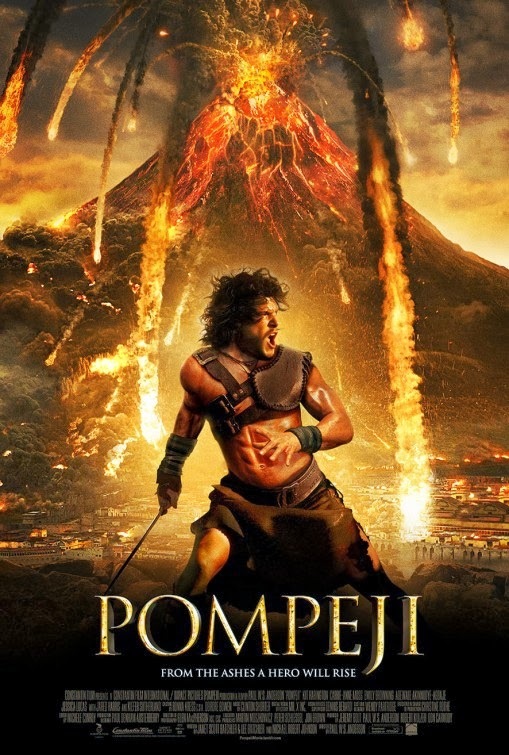 Pompeii is Jon Snow's big break as leading man and he doesn't disappoint. Kit Harrington with his glorious chiseled abs on display as the last horsemen Milo after his tribe along with his family was wiped out by the scoundrels Romans. He is sold as a child slave and grows up to an amazing fighter, easily dispatching multiple fighters much larger than himself in gladiator type games. When he catches the eye of one organizer, Graecus (Joe Pingue), he is brought to a bigger stage in the form of Pompeii. 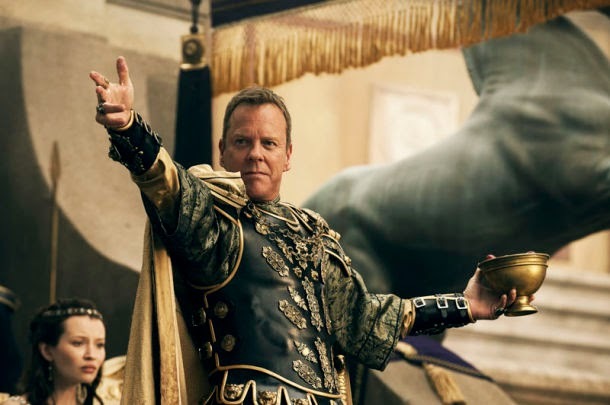 There Milo spots his family killers including the Roman Senator Corvis (Kiefer Sutherland) and his right hand man. 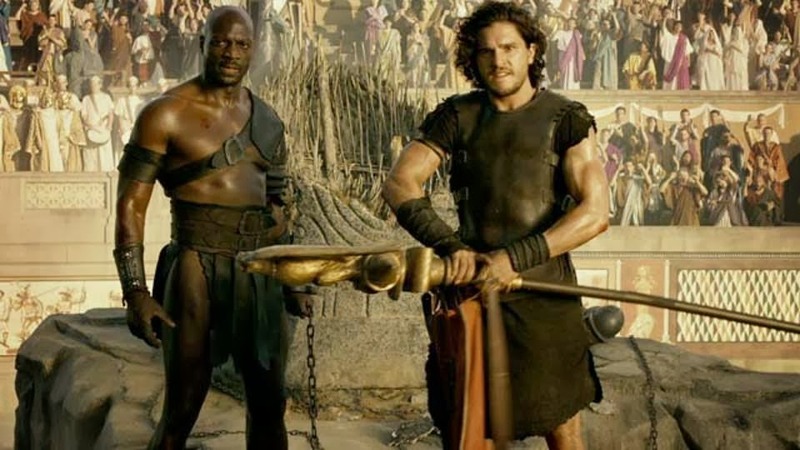 Between the time he arrives at Pompeii and when the volcano erupts (come on, you knew that was coming), he falls in love with a merchant's daughter, Cassia (Emily Browning) and makes a friend in Bridgageous (Adewale Akinnuoye-Agbaje). In regards to the film, I have heard some gripes about it not being bloody enough or even bloody at all given the PG-13 rating. While that is true, I still enjoy the fight scenes in the movie. If you're a fan of 300's style of blood flying everywhere you would definitely be disappointed. However, this is not 300, nor is it Gladiator. It is a disaster/action film with plenty of both. The love story however would be my only gripe. The reason is given how short a time the relationship is developed in the movie while not impossible seems implausible. I am a big fan of Kiefer Sutherland on 24, but he just seems out of place as the villainous Senator Corvis. I love that Adewale continues to get more prominent film roles since his days on HBO's Oz and ABC's Lost. Emily Browning and Jessica Lucas are both stunning in their beauty and roles as Milo's love interest and mother respectively. 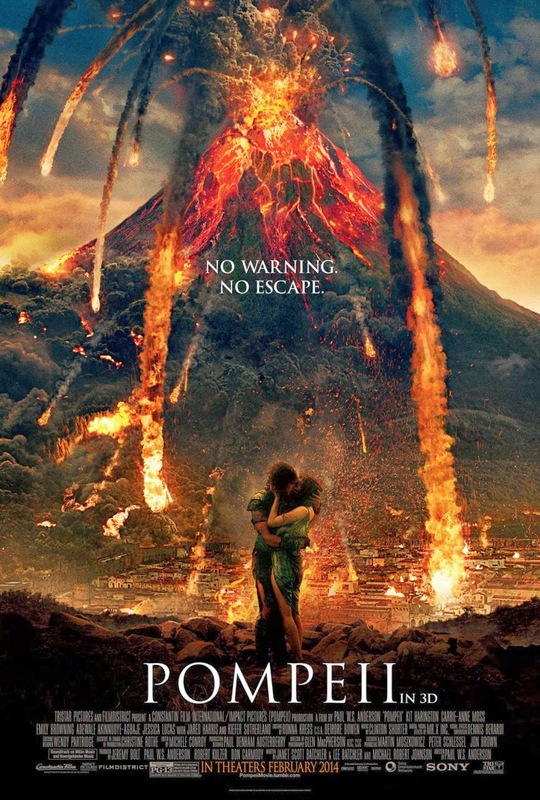 With any disaster films, it's all about the special effects, and while not spectacular, Pompeii does more than an adequate job in instilling fear into your hearts of living near a volcano any time soon. Overall, I would recommend this film. It won't be a blockbuster, but it's still a nice escape from modern day toils including shoveling snow in New York City. The warmth of the lava and hot stones coming down, with ashes filling up your lungs will keep you warm until spring.